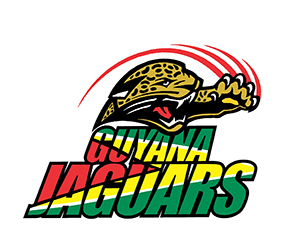 ST. JOHN’S, Antigua – Scintillating batting – led by Kirk Edwards and Shimron Hetmyer – and destructive bowling – epitomized by Imran Khan and Keemo Paul – marked play in the West Indies Championship on Sunday, as leaders Guyana Jaguars and Trinidad & Tobago Red Force wrapped up victory. The WINDIES pair of Paul and Hetmyer topped the first hundred Edwards has scored on the West Indies first-class scene in five years to propel the Jags to an eight-wicket victory at the Guyana National Stadium for their fourth win on the trot and season sweep of this opponent on the final day of fourth-round matches. At the other end of the Caribbean archipelago – leg-spinner Khan bowled Red Force to their first victory of the season and piled further pressure on Jamaica Scorpions with a 157-run victory at Sabina Park. Starting the day on 167 for three and needing a huge effort to avoid defeat, the Volcanoes’ batting was propped up by Edwards’ ninth first-class hundred of 139 and a defiant 67 from Denis Smith. The 34-year-old Edwards, the Barbados-born Volcanoes captain and former WINDIES vice-captain, struck 21 fours and two sixes from 186 balls in a shade over three hours at the crease for his first hundred in the Professional Cricket League era of the Championship. But fellow left-hander Hetmyer entertained with five fours and five sixes in 61 off 29 balls before he was dismissed with just five required for victory.